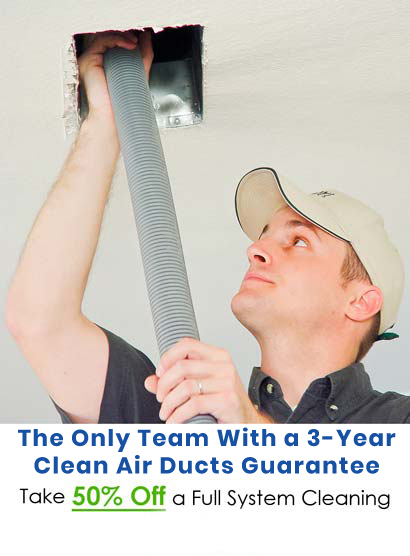 Professional air duct cleanings are the best way to keep your home’s air duct system running properly. Professional air duct cleanings also help fight against allergens that trigger asthma and allergies. Picking the right air duct cleaning company is essential. KIWI Services in Bartonville, TX has over 30 years of experience cleaning ducts, and we are sure you will love our services. 1. We will clean the unit, squirrel cage, fan, and any other accessible air handling components. 2. We will remove and hand wash all vent covers. 3. We will vacuum individual ducts to remove dust, ash, and debris. 4. We will apply an antimicrobial treatment throughout the system to disinfect. 5. We will clean all surrounding vent areas. 6. We will reinstall vent covers. Customers happy with our services are our #1 goal. We want to make sure you are 100% satisfied with your air duct cleaning, which is why we offer a 30-day clean guarantee on all of the air ducts we clean and a 2-year guarantee against mold and mildew re-growth. Give us a call today to schedule an air duct cleaning appointment!